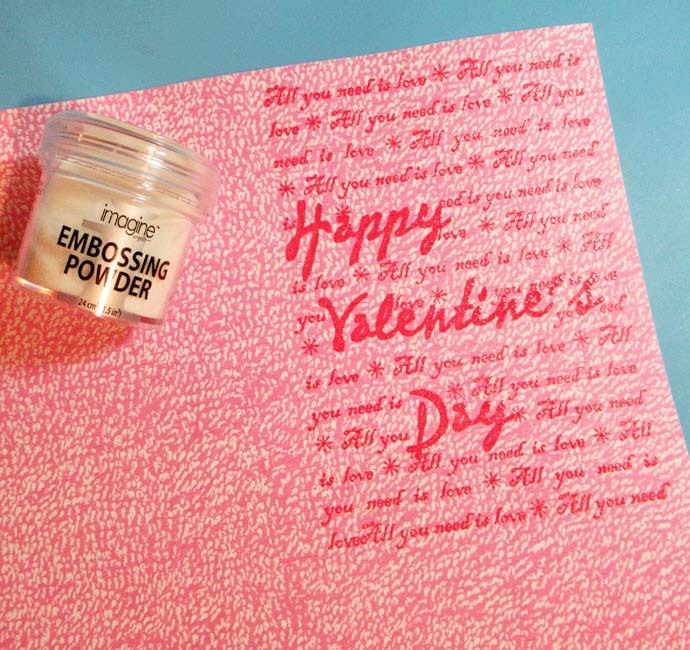 Valentine’s Day is a cardmaking holiday. If you have a lot of people on your card-receiving list and you need to create several of the same cards quickly, it’s easiest when you limit your supply choices. That doesn’t mean, however, that your cards need to look simple. 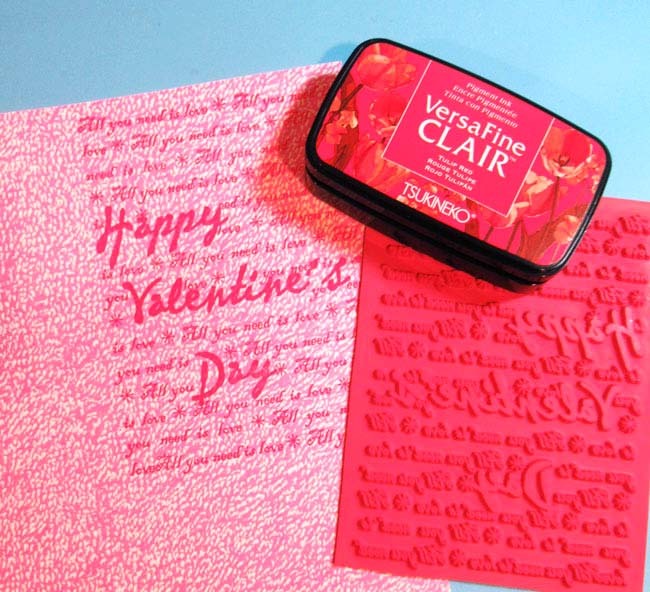 For this design, I choose the new line of VersaFine Clair inks that are beautifully vibrant and I’ve used Tulip Red to create an amazing background color saturation. Ink background stamps with Tulip Red VersaFine Clair and stamp onto pattern paper. Emboss with Clear Embossing Powder and heat set. 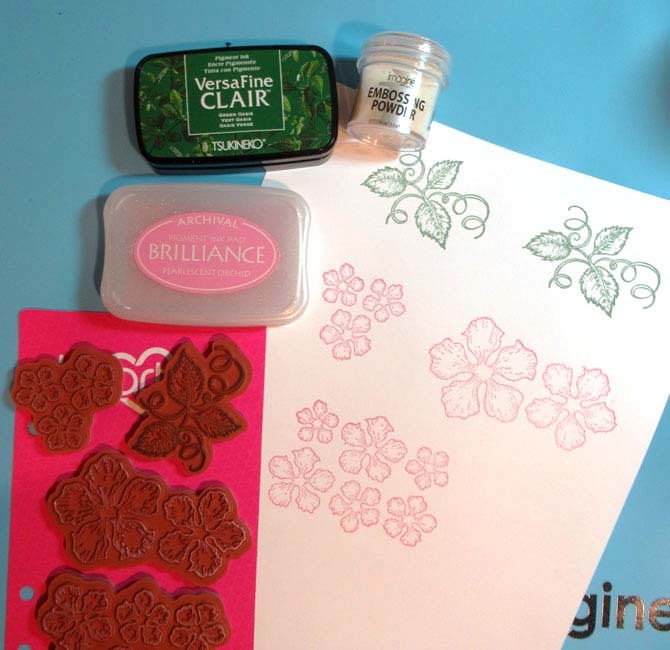 Stamp assorted sized flowers with Brilliance ink in Pearlescent Orchid and stamp leaves with Green Oasis VersaFine Clair. 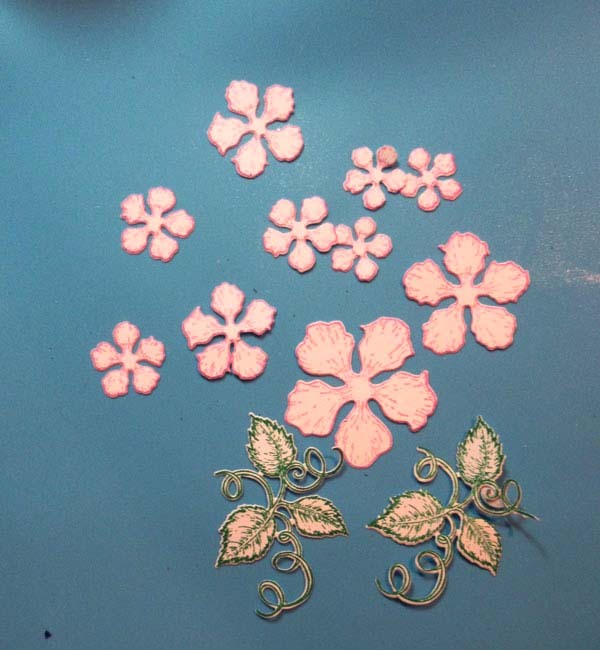 Die cut the flowers and leaves using the coordinating dies. Mat panel with red cardstock. Create a card from black cardstock. 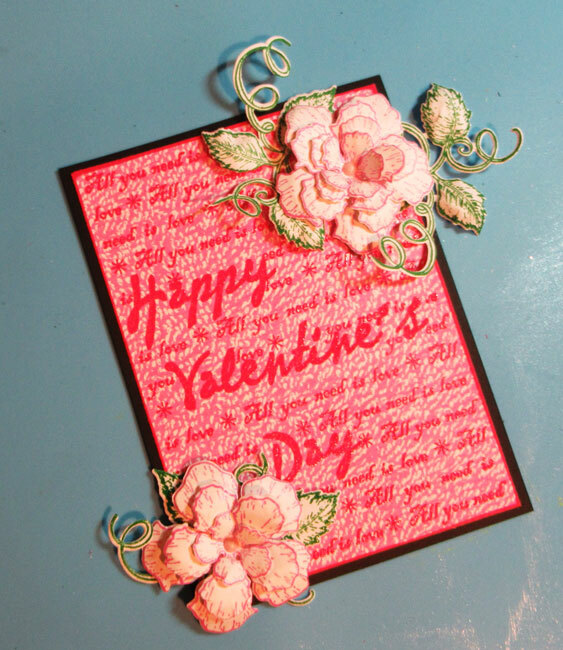 Add panel to the card at a slight angle using foam adhesives for dimension. 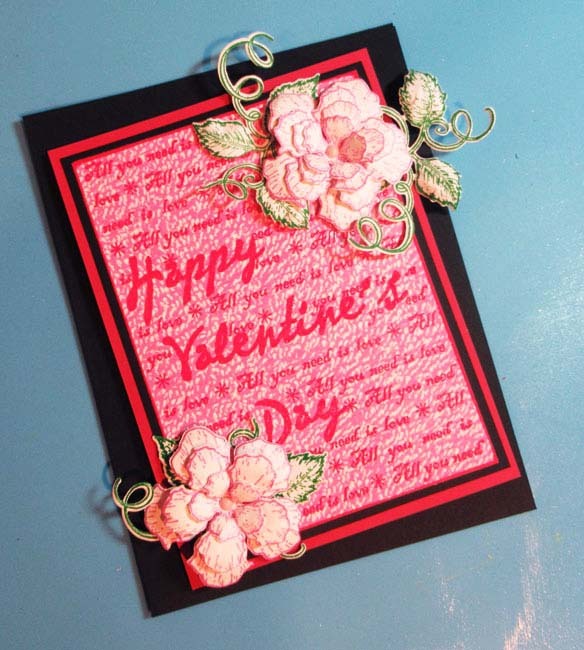 This entry was posted in 2018 ARTIST IN RESIDENCE, Cards, DIFFICULTY LEVEL, DIY, INSPIRATION, Intermediate, PROJECTS, Steph Ackerman, Techniques and tagged Brilliance Ink, Embossing, Embossing Powder, Paper Crafting, Valentine's Day Card, Valentine’s Day, VersaFine Clair. Bookmark the permalink. This creation is gorgeous. I love the vintage feel but with a gorgeous red. Beautiful card. I adore the vintage look of this and such an easy card to replicate! The layered flowers are just beautiful! Thanks for sharing your process with us!